Classic French Provence in design. Perfect for easy living and elegant entertaining indoor or outdoor use. 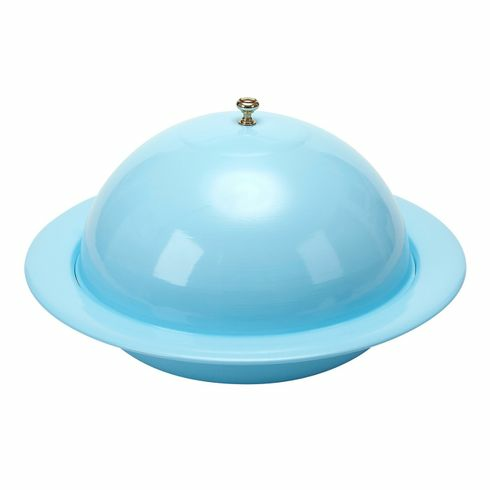 Galvanized steel base powder coated in Robin egg blue color and accented with gold handle on top Keep food warm or cold . 10" round bowl is 1 3/4" " deep height 5.5"